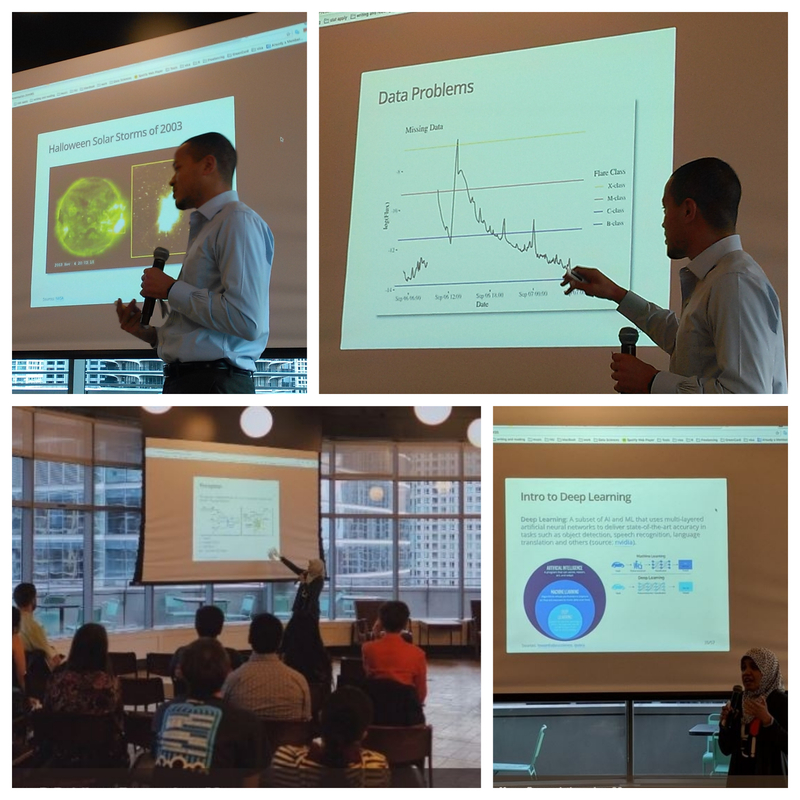 The ASG Chicago members, Josh Goldberg and Caroline K. Williams gave a presentation, "Astrostatistics in R: Predicting Solar Flares" at R-Ladies Chicago meetup on August 28, 2018. We highly appreciate all the support from the ASG mentor Troy Hernandez, R-Ladies Chicago board members, and sponsors. Founder of the ASG Chicago, Caroline K. Williams was accepted to the Fall 2018 class of NASA Datanauts. 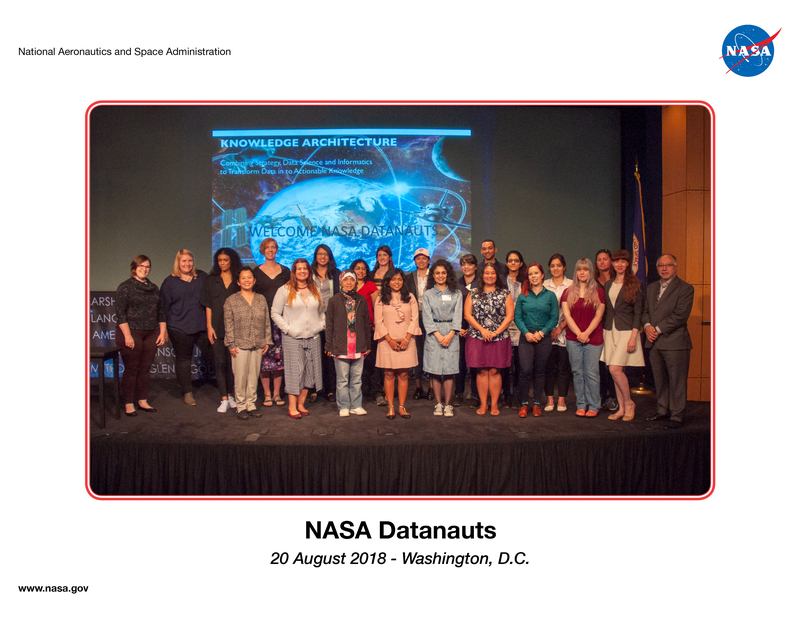 She attended the kick-off event at NASA Headquarters in Washington DC on August 20-21, 2018 with fellow R-Ladies Board Member, Katherine Simeon. We thank Kaelen L. Medeiros for her introduction and recommendation to NASA Datanauts program. It is an honor for the ASG Chicago to welcome Troy Hernandez from CRUG to serve as an advisor along with Kaelen L. Medeiros from R-Ladies Chicago. The ASG officially starts to collaborate with Troy Hernandez from Chicago R User Group (CRUG) to work on his Solar Flare project. Please click HERE to learn more about the project. The ASG website is published on Github. The ASG website is created to consolidate all resources and to prepare a detailed project plan. The initative to start ASG is introduced at R-Ladies Chicago social gathering. The responses from organizers and members are positive. Two members signed up to join the study group. Another member of R-Ladies Chicago signed up through the phone. © 2018, powered by R + RMarkdown + Github.